*Information taken from Bariatric Surgery Source. 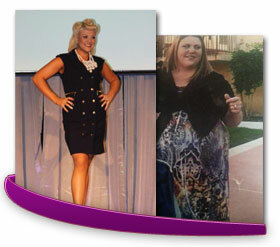 Research and experience have made bariatric surgery a highly effective method to reduce excess weight. With the procedures available through Western Bariatric Institute, most patients experience improvement or complete resolution of their health co-morbidities and lose an average of 69% – 82% of excess weight over the course of 12-54 months (WebMD). * In addition, 95% of people state that their quality of life improved after surgery. *results may vary. As with any surgery, bariatric surgery patients face various risks when deciding to undergo procedures. Individuals who are overweight can have greater risks of complication during an operation due to pre-existing co-morbidities (sleep apnea, high blood pressure, etc.). 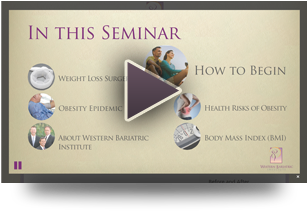 Thus, it is important to learn the potential risks and complications of bariatric surgery prior to moving forward. Our experts are here to discuss potential risks with you on a case-by-case basis. Western Bariatric wanted to touch on the Duodenal Switch and the vBloc Therapy as well. The Duodenal Switch, is one of the most complicated weight loss surgeries. The switch is also known as vertical gastrectomy with duodenal switch, biliopancreatic diversion with duodenal switch, DS, or BPD-DS. Combining two surgical techniques: restrictive and malabsorptive, the Duodenal Switch keeps a small part of the duodenum in the digestive system. The duodenum is the first part of the small intestine. It is located between the stomach and the jejunum, or the middle part of the small intestine. Foods mix with stomach acid, then move down into the duodenum, where they mix with bile from the gall bladder and digestive juices from the pancreas. Malabsorptive surgeries restrict the amount of calories and nutrients the body absorbs. The malabsorptive component of duodenal switch surgery involves rearranging the small intestine to separate the flow of food from the flow of bile and pancreatic juices. With the duodenal switch, you consume less food than normally, but it is still more than with other weight loss surgeries. Even this amount of food cannot be digested as normal, so a large amount of food passes through the shortened intestines undigested. This surgery, like the Gastric Balloon and Stomach Pump surgeries, are often not recommended to bariatric patients as the risks are quite high, there are often resulting nutritional deficiencies due to the extensive diarrhea post op, the results vary, and other bariatric surgeries are far less complicated. vBloc Therapy is delivered via a pacemaker-like neuroregulator device. vBloc Therapy blocks hunger signals between the brain and stomach, that can make you feel fuller longer and reduce the amount of food you want to eat. The device is placed just under the skin. The leads are placed on the trunk of the vagus nerve. Because the leads are placed laparoscopically, there is limited scarring and recovery time compared to traditional bariatric surgeries. Although most patients undergo this surgery on an outpatient basis, the surgery is usually only covered through VA hospitals. The total cost of vBloc Therapy can cost anywhere from $18,000 – $22,000. While there are complications with both, vBloc therapy has a slightly lower risk to complications, but sleeve results are about two times more in weight loss and is much more likely to improve or cure obesity-related health conditions. What’s the Best Bariatric Surgery for Me? To be a candidate for weight loss surgery you must meet a few guidelines. If you are severely obese, with a Body Mass Index (BMI) of 40 or more (Check Your BMI), you have a BMI of 35 – 39.9 with serious medical conditions (co-morbidities) like Type II diabetes, high cholesterol or triglycerides, hypertension, sleep apnea, or other serious cardiopulmonary disorders., or if you have tried other weight loss methods supervised by a physician or dietitian including changes in eating habits, behavior, exercise and/or drug therapy and you are still seriously overweight. Weight loss surgery is not to be taken lightly. Once the choice has been made, there’s no going back! But, if you are restricted from performing routine daily activities related to work and family and your quality of life is seriously suffering, then call Western Bariatric Institute today and speak with one of our patient advocates.